The most asked question by far at talks and book clubs is ‘where do your ideas come from?’ The quick answer is anywhere—and everywhere. Sometimes an idea begins as a tiny seed of…something…that springs up in your brain and refuses to go away. Sometimes a character simply presents itself, demanding attention, and … once again, refuses to go away. Other times it’s a television show or a headline. Or a line in a song that trips through your mind and starts your thoughts down some unimagined path. It can get really crowded up there with all those seeds and images sprouting up, vying for space. In the case of TEN BEACH ROAD it was Bernie Madoff and his Ponzi scheme that leaped from the headlines and forced me to pay attention. Like most people, I was horrified that someone could abuse his client’s trust on such a mammoth scale. I was fascinated by how this wolf had dressed up in sheep’s clothing, playing hard to get to reel in clients and, ultimately, offering returns that were far too good to be true. As I inhaled the articles and books and television specials, I was appalled by how much he stole and from how many people. Entire life savings disappeared. Charities were bankrupted. Even more terrifying, people and institutions that didn’t even realize their money had ended up with Madoff, lost everything they owned. How could a person sink so low or live with himself afterward? At first I was consumed by the details of how he did it. I read about other Ponzi schemes—Madoff was not the first or the last—and I was surprised to discover how many of them were perpetrated on friends and close family. And then the inevitable happened—at least in my writer’s world. I started imagining what that kind of loss would feel like. What it would do to my life, my family. How it would feel to lose absolutely everything. After I finished shuddering, the words ‘what if’’ formed in my brain. “What if that happened to us?” And then, more specifically, ‘What if I wasn’t even involved and it still happened to me? 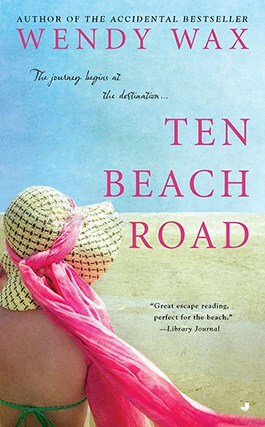 Which was followed by, “What if my husband lost everything we had, including his job, and then didn’t have the nerve to tell me?” With that first series of ‘what ifs’ Madeline Singer, the primary protagonist of TEN BEACH ROAD, and her husband Steve, were born. I thought about them a lot. I gave them two children who would have to face this loss, too. And a mother-in-law whose money disappeared along with theirs. And then, because I typically write books that involve multiple female protagonists whose stories are interwoven, I began to imagine others fleeced by this same thief. I thought, ‘what if I was a woman who’d escaped poverty and then lost everything? And what if the person who stole it from me was the younger brother I’d raised and bankrolled, whom I’d trusted more than anyone, and whom the FBI was now looking for? How awful would that feel? And what would I do? 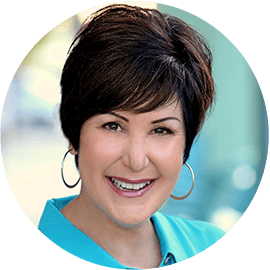 With that Nicole Grant, well known dating guru and matchmaker was born. Or… what if I lost the father who raised me after my mother walked out on us and then lost that father’s estate before I ever received it? And what if this happened right after my marriage and my career collapsed? Before I knew it Avery Lawford, whose now ex-husband has just pushed her out of their HGTV show, sprang to life. I worked with my ‘what ifs’ for a while, finally coming up with three very different women, who began as strangers who’d lost everything except co-ownership of Bella Flora, a dilapidated beachfront mansion which they were forced to spend a long, hot summer trying to rebuild. Of course, each author approaches this process in his or her own way. And although a well plotted book will seem exactly as it ‘should’ be, in reality any book can go in any number of directions. Speaking of ‘going in any number of directions’ no one was more surprised than I was when Maddie, Avery and Nikki who were inspired by Bernie Madoff’s crime and born of ‘what if’s’ made it clear to me that they weren’t anywhere near finished with their unlikely friendship or the lives they’d begun to rebuild while they were rebuilding Bella Flora. And since I almost never argue with my characters, TEN BEACH ROAD evolved into what became a six book series. They asked me to let you know that OCEAN BEACH, THE HOUSE ON MERMAID POINT, SUNSHINE BEACH, ONE GOOD THING and this May’s release BEST BEACH EVER are ready whenever you are.